Gareth Bale (2nd f.r.) and squad celebrating qualification for EURO 2016. It were the emerging small nations who caused a number of upsets and brought excitement to an otherwise forgettable EURO 2016. Winning can be very relative. For established players in the ‘big league’ of international football it is often all or nothing. A squad entering a tournment with the expectancy to leave it with a cup in their hands will play differently than those who are new to the scene. For the newcomers to international tournaments making a name and creating some buzz often is a victory in itself. This year, newcomers more than ever had the chance to impress the masses with a noteworthy performance on the international football stage, mainly due to administrative reasons: raising the number of contenders to 24 was a huge step in opening up to those without a record of wide international success. 24 contending nations made this year’s event a more democratic one, opening a backdoor for surprises of all kind. And surprises there were. We are taking a look into the up-and-coming underdogs who brought some novelty to an otherwise stale tournament. 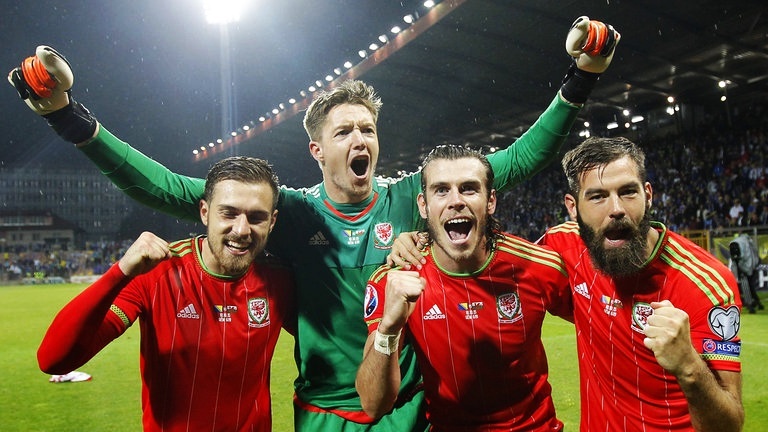 The biggest surprise is undoubtedly Wales – getting into a major event for the first time in 58 years and then going all the way to the semi-finals really is hard to top. Granted, they have a world-class player in Gareth Bale which the other cinderellas definitely don’t, but the rest of the Welsh squad are very far out of that contention. One exception would be Arsenal’s Aaron Ramsay, but it feels like he will never reach his true potential. In that sense, Bale really delivered. All due respect though, the likes of Ashley Williems, the ’emerging’ Hal Robson-Kanu or Joe Allen very well rose to the challenge. Nonetheless, they are probably still scared of where those performances came from. Because it was as if they sold their soul to the devil, playing nothing like a modern small team usually does: by parking the team bus in front of their net. In this year’s tournament the Welsh went all out. What theyh did was play an attractive, offensive style of football, not shying away from going gung-ho even against Belgium or Portugal. Their performance will be long remembered, and if they keep this up, it won’t be another 58 years before we meet them again in the top-flight. Although (despite the common misconception by the ’temporary summer football fans’) their highly admired ’viking’ chant is not unique to Iceland whatsoever, their fans did it amazing. Not sure if that is what made them a seemingly undestructible force, or the precisely organised and perfectly performed tactical approach, or just the fact they fight whales in their free time since childhood. Anyhow, Iceland came to the big boy’s club with a bang, albeit a quiet and rather disappointing one, as they chiselled their ability to kill off an opponents game perfectly, as demonstrated in their opening 1-1 ’win’ against Portugal, or during their dramatic victory over Austria to get themselves the chance to suffocate and destroy England in the Last 16. The quarter-finals did not come at the right time, as France has just grew into being the unstoppable mechanism they were destined to be, and shattered the firm defensive system of the also unlucky Nords. Credited as the weakest team entering the competition, nobody gave the Central-European, once-great-but-now-utter-garbage footballing nation any chance to even score a couple of goals. Even despite their impressive performance in their playoff win against Norway. Should have paid more attention, dear experts: Hungary roared to a memorable win against one of the Dark Horses, Austria in their opening game. Here, they showed a level of intelligence and tenacity that usually belongs to the top teams. If that was not enough, their hard-fought draw against Iceland sent the whole country into a frenzy. Propelled by the love the whole nation, they played the best game of the tournament against Portugal, a 3-3 thriller that sealed their spot on top of Group F.
Their secret? What turned the ugly caterpillar into the gorgeous butterfly? It was the German revolution in Hungarian football which started out a couple of years ago when head coach Pál Dárdai was succeeded by the football-mad German Gentleman Bernd Storck and his assistant Andy Möller. Pretty much in the style of a Hollywood movie they turned a total mess of a squad full of confused and lost players into a perfect unit, making sure they are prepared to every single move the opponent would make. We are essentially talking about a transfer of obsession and passion for the game that only very few coaches can carry out. This was unfortunately not enough against contenders Belgium who proved to be just too much for the team, but even despite the 4-0 scoreline, Hungary has no reason whatsoever to be embarassed. As they were the absolute underdog in the game their overall performance stands tall, and it set the stage for much larger success to be had in the future.